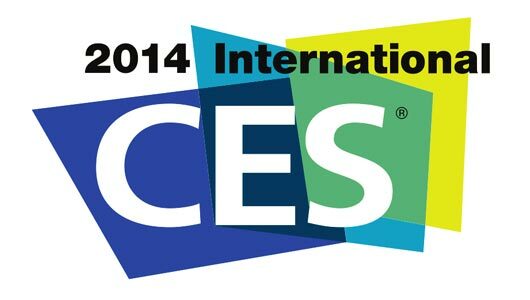 Here is a look at some of the interesting and up coming products coming in the new year. It is our goal to keep up with the latest equipment in home theater and Hi-fi audio. Most of the products seen below is from our vendors. Check out some of the pictures we took at the event. 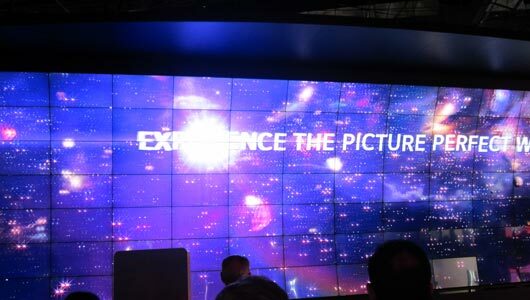 LG’s 3d wall display: One of the biggest attractions at the show was LG’s multi panel OLED 3D display. 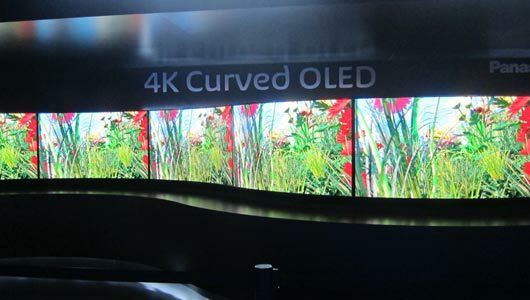 Panasonic’s 4k Curved OLED Display: The main theme in video this year was 4k curved screens. Almost every manufacture was showing off their upcoming designs in curved flat panels. 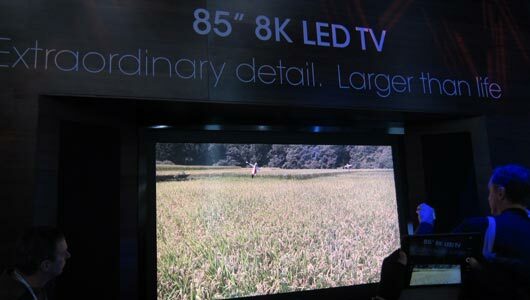 Sharp’s 85 inch 8K LED screen: In terms of video and home theater it seems like a competition of who can release the largest display to attract the most attention. Seen here is Sharp’s 8K LED screen and was probably the biggest single flat screen I saw at the show. 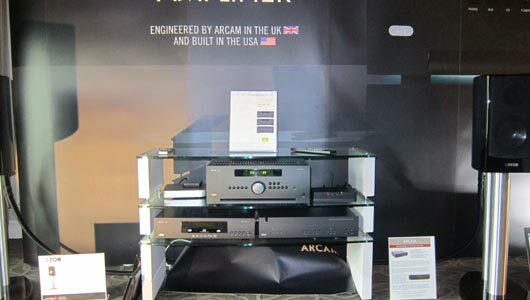 Arcam’s new A49 Stereo Intergrated: Soon to be released is Arcam’s new flagship series of amplifiers. 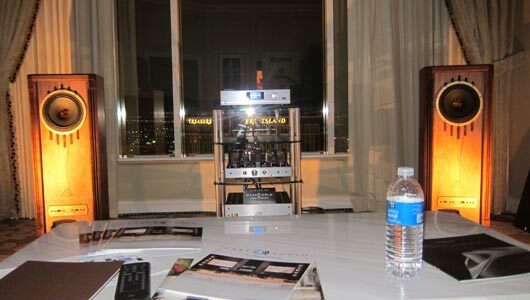 The new stereo amplifiers will boast new high power designs which are designed in the UK but built in the USA. Focal Aria Lineup: The new Aria 900 series focal speakers. A totally new driver design was developed by Focal using flax drivers. These new lightweight driver offers exceptional dynamics and speed at an affordable price. Focal is always an excellent choice for all your home audio needs. 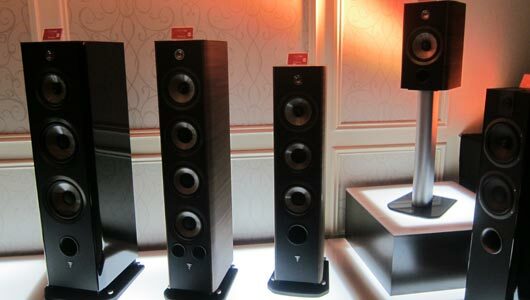 Tannoy Kingdom Royal: These are big speakers! Shown here is the carbon edition using both a 15 inch and 12 inch driver in each speaker. 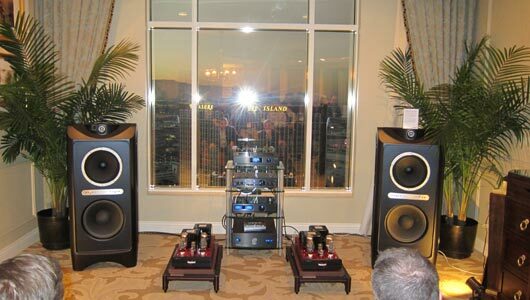 It is impressive for such a big speaker to the have the intimacy you can only dream of and the ability to rock the house if want want too. Maybe one day we will bring in a pair in our store. Tannoy Gold Reference Kingston: This uses Tannoy’s known dual concentric drivers and was one of my favorite sounding audio systems of the show. It’s refreshing to see classic Hi-fi stereo design. The prestige series are all designed with a traditional approach that will bring you back to the days of classic speaker cabinetry-truly an art. 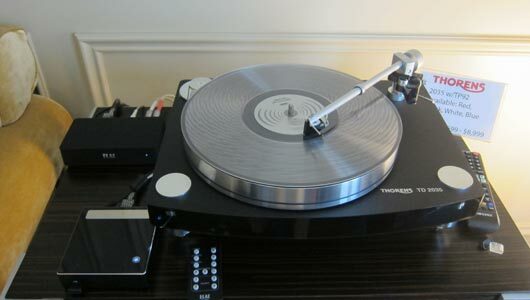 Thorens Turntables: Shown above in the maple finish is the 240-2 which is becoming one of Thorens most popular turntable. This is one of the very few high quality automatic turntables today. Also featured is the more modern looking 2035. Thorens have been around since the early days of vinyl and stereo and it is good to see them still around today. 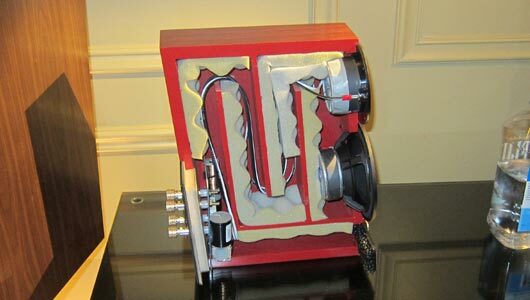 PMC Speakers: The new Fact 12 where on display. These slimline speakers pack a huge sound. PMC have been making a big stir lately by winning many awards and accolades. 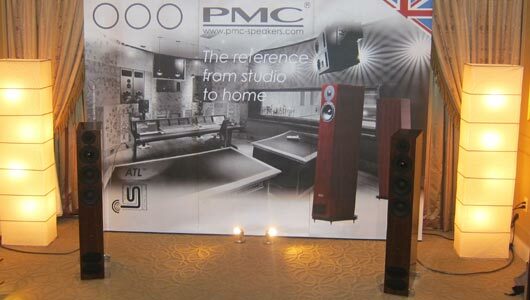 I have always been a fan of PMC telling everyone how good they are and I am finally happy to see that many others are starting recognize PMC speakers as well. 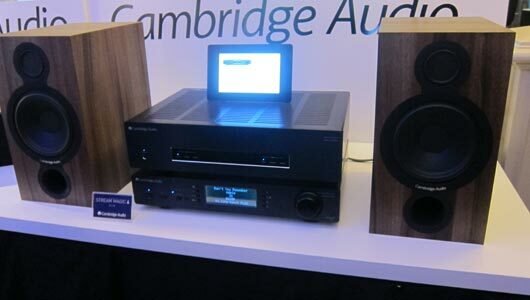 Cambridge Audio: Seen above is the new 651w stereo power amp and Stream Magic DAC/Streamer. Paired with the new Cambridge Aero speakers which is the first full size speaker to implement its BMR driver. This new Aero lineup also includes matching center and rear speakers for all your home theater needs.